With the bulk of stocks enjoying a rise this year and many stocks and indices near or at all-time highs, under normal circumstances, it would make sense for investors to take some profits off the table. However, with the possibility of tax reform seemingly certain, at least in some form, many investors may choose to hold on until after the first of the year. By selling in January, investors could postpone paying taxes on gains for 16 months, until April 2019. 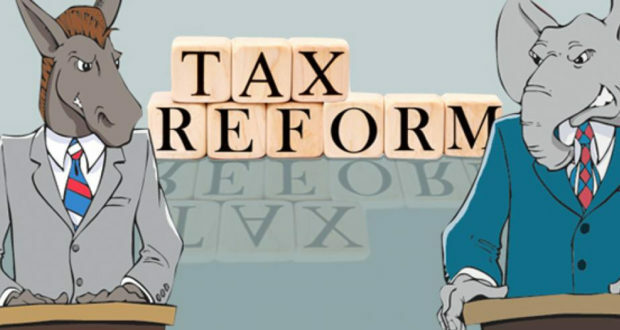 At that time it is almost certain that the tax treatment of capital gains or the tax brackets will have changed and possibly both will have changed. This could be acting as an incentive for investors to hold on to stocks and funds where they have significant gains. Looking at the main sectors as defined by Standard & Poors, five sectors are up more than 15 percent this year and so is the S&P 500. The tech sector has led the way so far this year with a gain of 32.78 percent through Monday’s close. That return is more than double the 15.45 percent gain in the S&P. We used the sector select SPDR ETFs as a barometer for the sectors and the five sectors are technology, healthcare, materials, utilities and industrials. In order to take the study a step further, we looked at the top holding in each of these ETFs and put those stocks on a separate chart. The names of those stocks are certainly well known to investors with Boeing, Apple, NextEra Energy, DowDuPont and Johnson & Johnson representing each of the five sectors. Boeing has gained an incredible 73.26 percent so far this year and it is followed by Apple with a gain of 52.62 percent. All five of the stocks on the chart have gained at least 23.7 percent with Johnson & Johnson being the “worst” performer of the bunch. It is hard to imagine any of these stocks seeing a great deal of selling pressure heading in to the final month and a half of trading for 2017. There could be a couple of factors that work to move stocks higher for the rest of the year, despite the overbought levels and rather high bullish sentiment. First, we could see some window dressing from mutual funds and money managers toward the end of the year as they purchase some of these top performers to show them as a holding in their portfolios. It happens almost every quarter where they buy the top performers and dump some of the worst performers. The second factor is the possible tax reform keeping sellers at bay on a temporary basis. If these theoretical scenarios hold true, it is unlikely that we will see a significant selloff before the end of the year. If you have money managers and mutual fund managers buying the top stocks and other investors holding off on taking any profits, it gives us a scenario where we have more buyers than sellers. I don’t think I need to explain that concept to you.